Provided by The Independent Jerry Greenfield from Ben & Jerry’s ice cream will be speaking on campus on Thursday, April 18 in the Mandela Room. 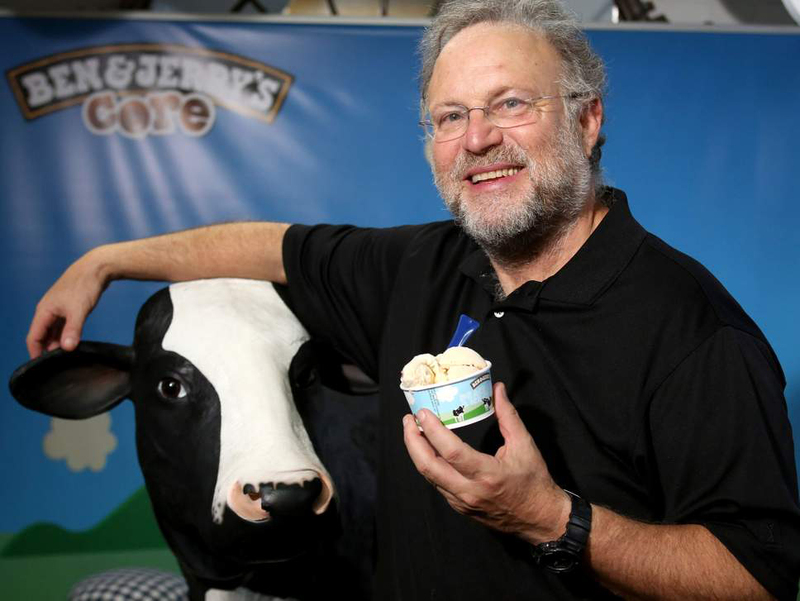 One half of the famous ice cream duo, Jerry Greenfield of Ben & Jerry’s ice cream, will come to Binghamton University on Thursday, April 18 as the Student Association Programming Board (SAPB)’s guest speaker. The event, which will be held in the Mandela Room, will include a talk by Greenfield regarding business and entrepreneurship, followed by a question and answer session. According to Joseph Delli Gatti, a sophomore majoring in environmental studies and the insights chair of SAPB, Greenfield was the top choice on the student response survey, racking in nearly 1,000 votes. Greenfield, who grew up in Long Island, opened up Ben & Jerry’s ice cream in 1978 in Burlington, Vermont with childhood friend and business partner Ben Cohen. With little experience in the ice cream industry and a $12,000 investment, the pair took a $5 correspondence course on ice cream-making at Pennsylvania State University and opened their first store in a renovated gas station. Over 40 years later, there are almost 600 Ben & Jerry’s scoop shops located worldwide and three U.S. factories, where 400 pints are churned every minute. Fortunately for BU students, attendees will be able to receive a free scoop of ice cream with fan favorite flavors ranging from Chocolate Chip Cookie Dough, classic Vanilla and Phish Food. Greenfield will also be bringing a flavor that they don’t serve on campus: Totally Baked, which consists of chocolate and vanilla ice cream with fudge brownies and chocolate chip cookies. Although Delli Gatti anticipates a large crowd because of the free ice cream perk, he hopes that students learn something valuable from Greenfield’s experience and are engaged by his quirky persona. For students who are lactose intolerant, Delli Gatti suggests that you stay for the speaker, not the free ice cream. The event will be held on Thursday, April 18 at 6 p.m. in the Mandela Room. Admission is free for all students.